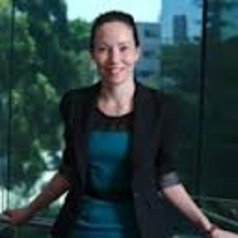 Nicola McGarrity is a Lecturer with the Australian Research Council Laureate Project: Anti-Terror Laws and the Democratic Challenge in the Gilbert + Tobin Centre of Public Law, Faculty of Law, University of New South Wales. Nicola’s primary research interests relate to the intersection of public and criminal law. She has published extensively in Australian and international journals on the human rights implications of anti-terrorism law and policy and, in particular, the prosecution of suspected terrorists in Australia. Nicola’s interest in this issue was sparked by her time practising as a barrister at the New South Wales and Victorian Bars, including representing people accused of terrorism-related offences. Nicola is a co-editor of 'Counter-Terrorism and Beyond: The Culture of Law and Justice after 9/11' (Routledge 2010) (with Andrew Lynch and George Williams) and 'Surveillance, Counter-Terrorism and Comparative Constitutionalism' (Routledge 2013 forthcoming) (with Fergal Davis and George Williams).